Type and Characteristics: Brigantine-rigged steam cutter (above), built by Union Drydock Company, Buffalo, NY at cost of $83,000, iron-hulled, commissioned 29 June 1884, 282 tons displacement, 165ft long x 25ft beam x 11ft 2in draft, direct-acting steam engine, one propeller, armed with 2 guns, crew of 41. Log Period and Areas of Service: 1884-1910, Lake Erie, East and West Coasts of US, Alaskan waters, Spanish-American war service. 1884-93 - Assigned to Lake Erie patrol duties. Taken out of commission each winter, around mid-November, and crew released. Put back in commission around May when the shipping season started. 23 September 1893 - Ordered to New York to refit for Pacific. Arrived New York on 20 October, carried out "temporary duties" in local waters. 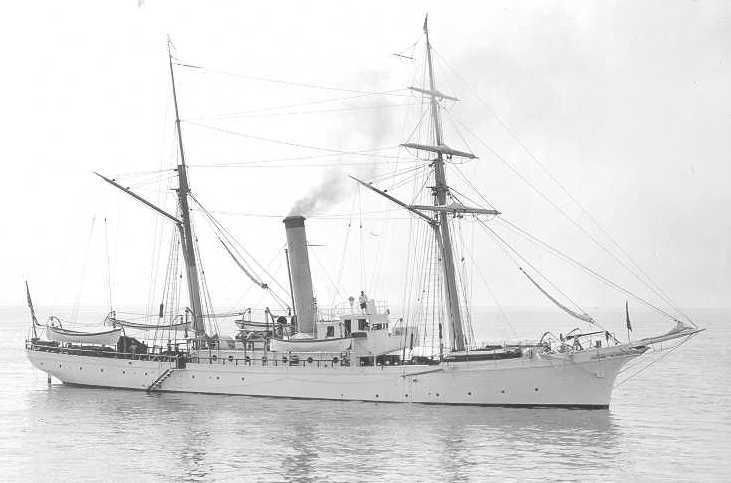 7 December 1894 - Refit completed, sailed for San Francisco via Straits of Magellan. 1894-1910 - Served off the West coast and in Alaskan waters. 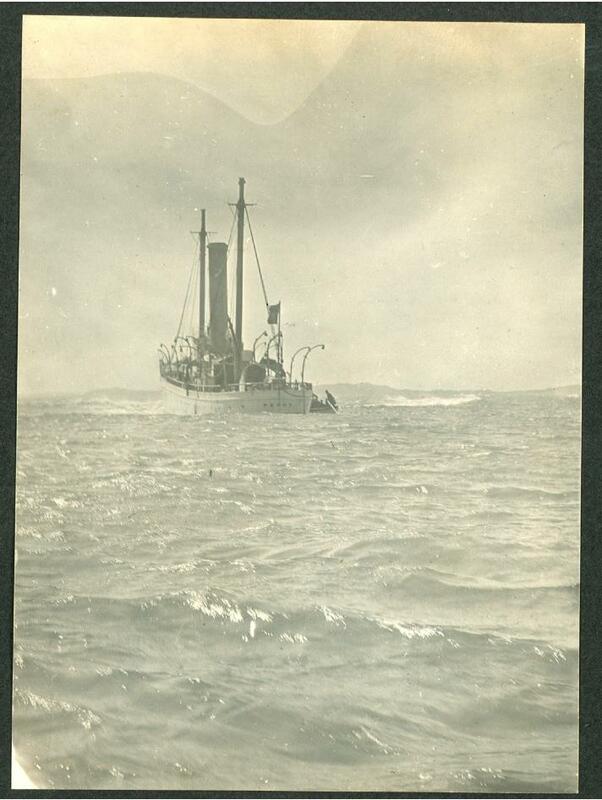 25 April 1895 - Arrived at San Francisco, assigned to Bering Sea Patrol. 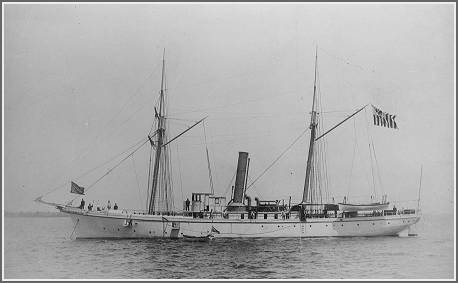 9 April 1898 - Served with US Navy during Spanish-American War, reporting to Commandant, Puget Sound Naval Station. Returned to Treasury Department on 15 August. 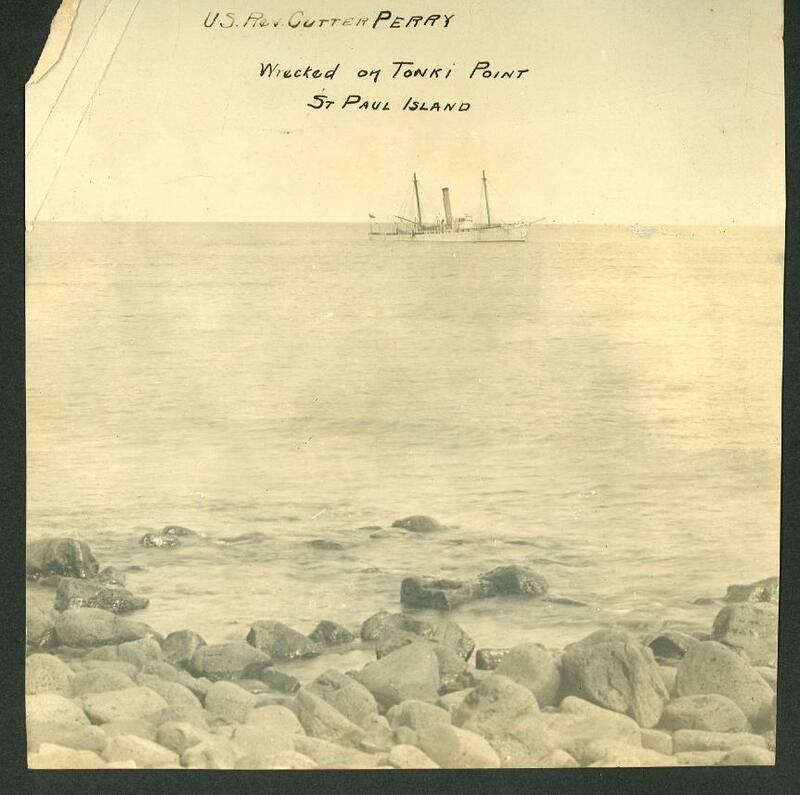 Fate: 26 July 1910 - Lost in Pribilof Islands, on Tonki Point, St Paul Island. All hands saved and distributed among the fleet. Her wreck was visible for a number of years.